The latest nuptial news might just be the most fashionable announcement since the royal wedding. 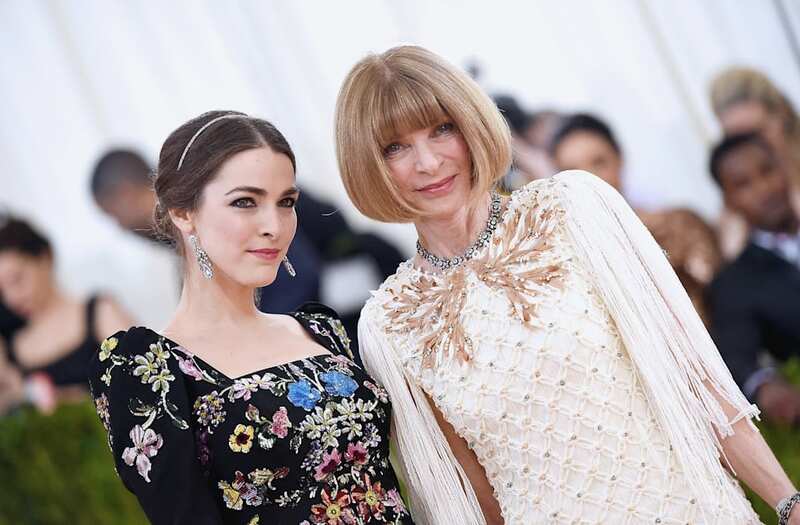 Bee Shaffer, daughter of American Vogue editor-in-chief Anna Wintour, is engaged to Francesco Carrozzini, son of the late Italian Vogue editor-in-chief Franca Sozzani, according to People. Vogue did not immediately return TheHollywood Reporter's request for comment. Shaffer, 29 and Carrozzini, 34, may be two of the most-connected people in the fashion world. However, they both chose not to follow in the footsteps of their mothers. Instead, both wound up in the fashion-adjacent entertainment industry: Shaffer works as a segment producer on Late Night With Seth Meyers, while Carrozzini — an L.A. transplant — is a filmmaker and director whose most recent work, Franca: Chaos & Creation, celebrated the career of his mom, who passed in December of last year following a yearlong illness. He has also directed music videos for the likes of A$AP Rocky and Beyonce. That being said, both have made cameos in the fashion world. Shaffer has oft accompanied her mother to the Met Gala and other red-carpet affairs, and Carrozzini has even logged a few guest judge appearances on America's Next Top Model and directed fashion campaigns for Salvatore Ferragamo and Roberto Cavalli, as well as spreads for Vogue Italia. Details of how the couple met are not known, but their pairing does not seem unusual considering their similar social circles, as well as their mothers' friendship. (After Sozzani's death, Wintour penned a tribute for American Vogue in celebration of their unique friendship.) Shaffer and Carrozzini began dating last year. Prior to Shaffer, Carrozzini was linked to Lana Del Rey.